Holden is a former ACTSI KL2 scholar and MSM Master of Science in Clinical Research (MSCR) graduate who dedicated her career to mental health-related research and encouraging well-being among ethnically and culturally diverse families through research, programmatic initiatives, practice and the development of innovative strategies for informing mental health policies. Her research is focused on underserved and underrepresented populations that are often overlooked, yet are greatly impacted by myriad health and mental health disparities. 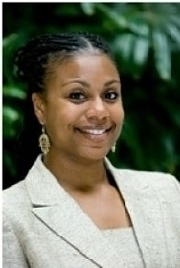 She serves as PI for a $3M CDC-funded award, (Racial and Ethnic Approaches to Community Health) REACH: Transforming Metropolitan Atlanta Communities through Prevention, Primary Care Linkages, and Policy Change. She also serves as the lead mentor for a number of trainees at MSM.